Yes ! This is summer ! Finally ! 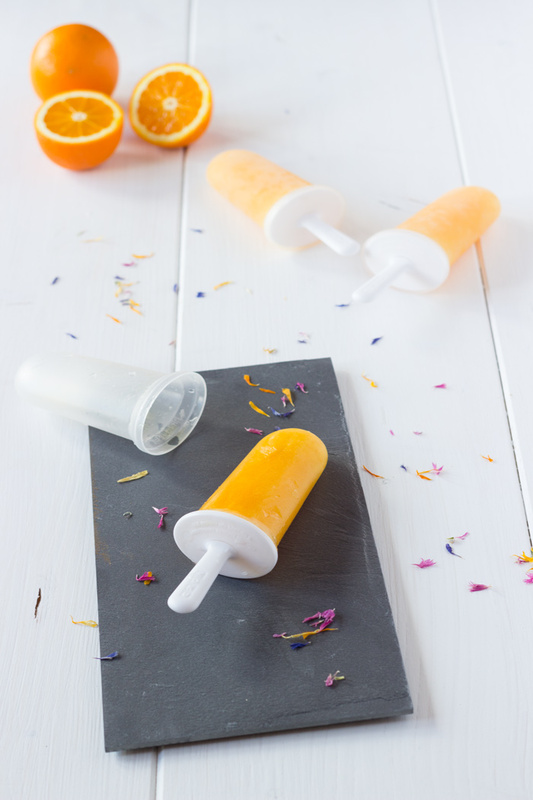 Sorbet and ice pop time… and ice cream for those who like them. As you might have noticed, I’m not a big fan of milk so this is ice cream made with fruits, sugar and water for me ! 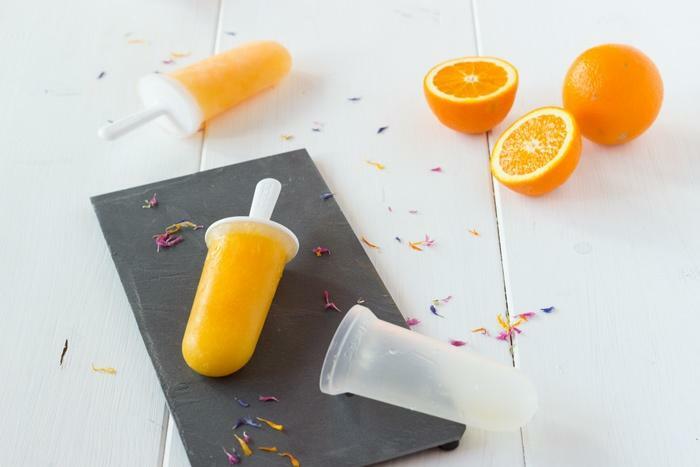 These orange ice pops were so delicious. I have made several batches of them. My mother bought me a magic tool some time ago … to make ice pop of course ! Alright just a king of plastic recipient that you fill in with your preparation and place in your freezer up side down. But I have to admit this is really handy. I don’t have children however if you do I am sure that you will be very happy to give them something fresh, healthy and not too expensive during warm summer days, next to a barbecue … Yum, I am getting hungry … and you ? This recipe is so easy to make that I found even a bit weird to write a blog article about it. But isn’t it the aim of a cooking blog to share some new ideas or bring again to life older ones. I hope that a French girl “cuisine” fulfil its intended purpose. Pour in your ice pop molds. Place in your freezer and serve the following day. Thank you very much for reading. Register to the newsletter or follow me on social media to receive the latest recipes of a French girl “cuisine”. More sorbet recipes are coming and if you want to try a different taste, try this banana sorbet.